Hello everyone! This month, as part of the Ch1Con 2015 Blog Tour, we here at Ch1Con are hosting the Teens Can Write, Too! blog chain for May. For more information about TCWT’s blog chain, check out this link. So to participate in this blog chain, please comment below with the dates you can do and a link to your blog. I will assign dates in the replies. I will also post the schedule on the Blog Chain page on TCWT, which was linked above. The chain, as always, will begin on the 5th. Thanks so much for participating! We look forward to what you have to say. I’ve only been able to read a few of the posts from last month, but you guys brought out your sass, intelligence, and creativity in wonderful full force. 🙂 Good job and keep it up! Here they are. The big announcements we’ve been hinting at all over social media for the past month. THEY ARE FINALLY HERE (which is fantastic, because we’re tired of holding back the goods). Looking at ye olde website, you may have noticed that something is different. This is because our logo and website have gotten a facelift! Check out that shiny new tomato. It’s so fresh we’ve had to resist the urge to eat it. Okay, not really, but it is pretty snazzy, right? A huge thanks to Julia’s brother Andrew for the adorable redesigned logo, sidebar badges, and banners! So, why the redesign? (Great question, Random Human!) 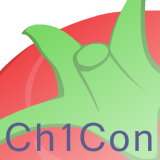 Besides the fact that we’d had that old (kind of ugly) logo for far too long and the Ch1Con tomato deserves nothing but the prettiest of paintjobs, we also wanted a new logo in conjunction with this new era in the life of the conference. Which is to say, we are SO CRAZY EXCITED to announce that the Chapter One Young Writers Conference is now partnering with the Teens Can Write, Too blog! The TCWT logo’s pretty snazzy, too. The entire Ch1Con team adores John (except for maybe Julia) and the work he’s done on his blog (definitely including Julia), so we can’t wait to work with TCWT. Ch1Con will continue doing what it’s doing, which means the 2015 conference will still take place Saturday, August 8th outside Chicago and we’ll continue to put on our monthly Ch1Con Chats on Youtube. However, on top of these things, all the Ch1Con team members will also be writing for the TCWT blog (and Julia and Kira will be editing!) and we’ll collaborate between the two blogs to bring you contests, giveaways, and all kinds of helpful new teen writing-oriented content. And on top of THIS (we know; it seems impossible for there to be even more excitement), Ch1Con’s got a few other announcements to make. We’ve got new team members! Beginning next week, every other Wednesday at 9:30 PM EST, the Ch1Con team will host a Twitter chat on all things writing and being young writers using #Ch1Con. JOIN US. Every Saturday for the rest of November, we’ll be hosting a one hour word sprint at 1:00 PM EST! Join us on Twitter using #Ch1ConRUN. The Ch1Con team will be trying a teambuilding (team-destroying?) exercise Saturday, November 22nd at 3:00 PM EST in which we open a Google Doc (visible to your lovely eyes) with the barest of writing prompts and have one hour to write a story. One story. Without communication. Who will learn to write together? Who will write against the rest of the team? Who will actually manage to stay on task? Only time will tell. Weekly Writing Prompts & Blog Features! Beginning next week, every Friday we’ll post a writing prompt, and your mission (should you choose to accept it) will be to send us your responses so we can feature our favorite(s) each week on the blog! We’re so excited about all these things! Again, make sure to check out John’s announcement post on Teens Can Write, Too, reminder that November’s Ch1Con Chat on NaNoWriMo is TONIGHT (info here), and we’ll talk to you tomorrow! PS. 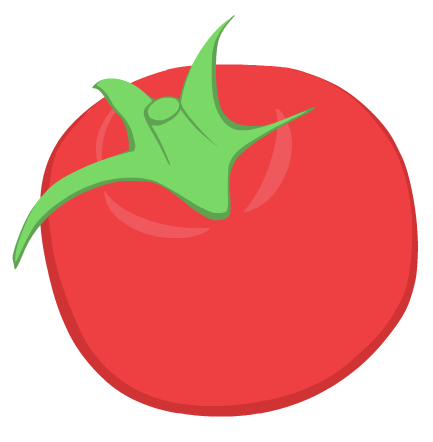 Love the new tomato as much as we do? Here’s a nifty badge you can display on your sidebar or use as a profile picture or basically in absolutely any way you see fit.